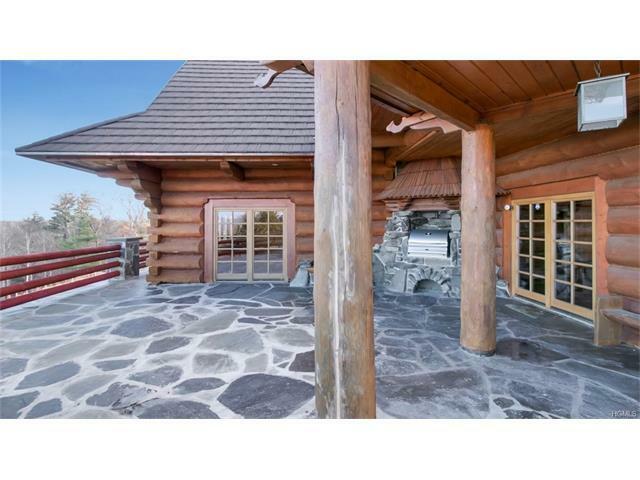 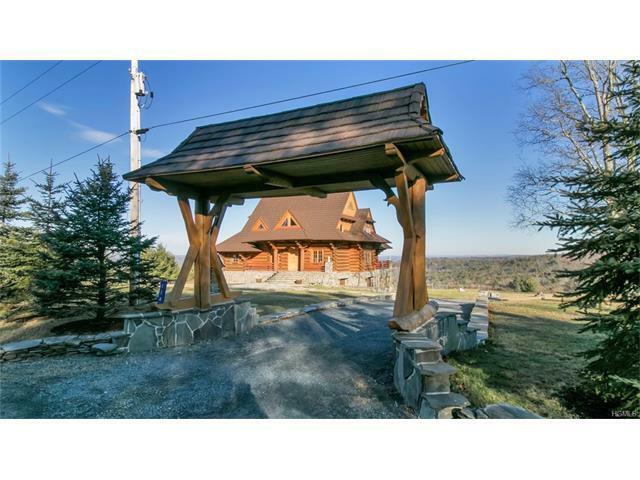 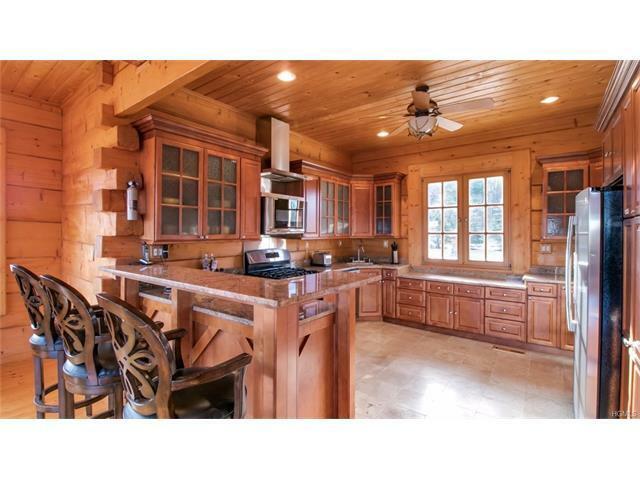 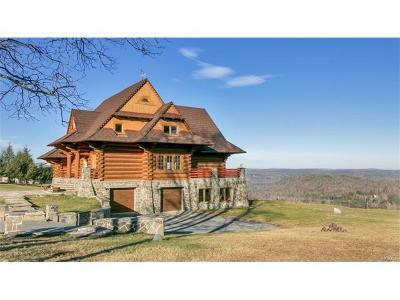 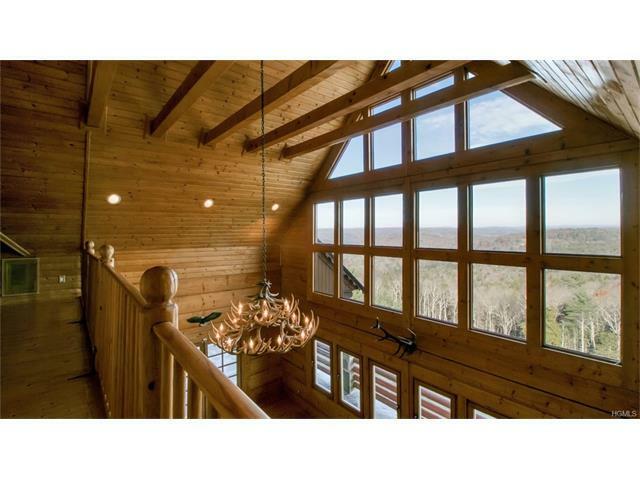 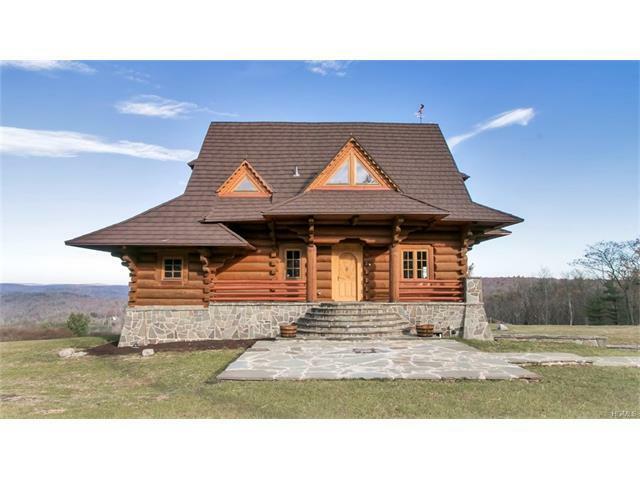 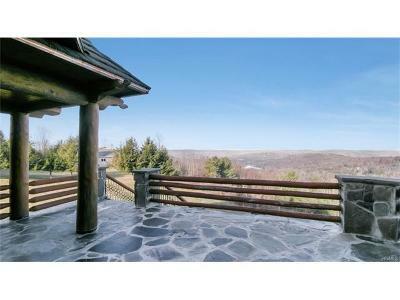 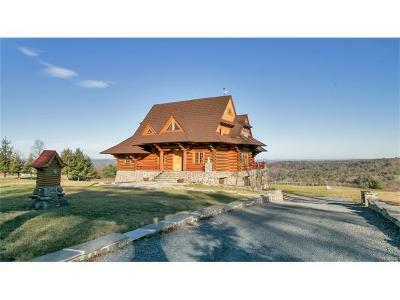 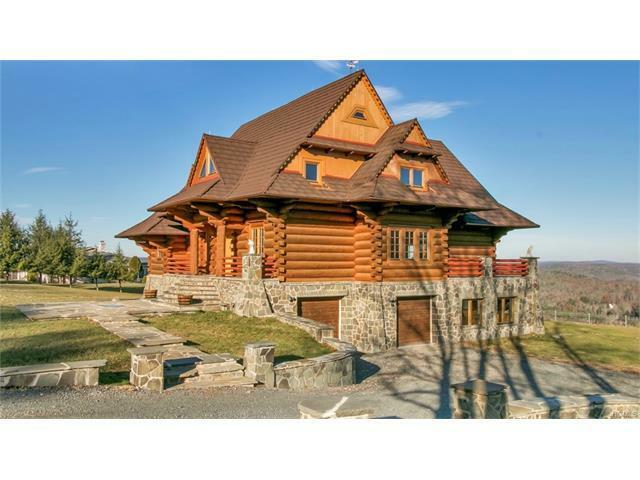 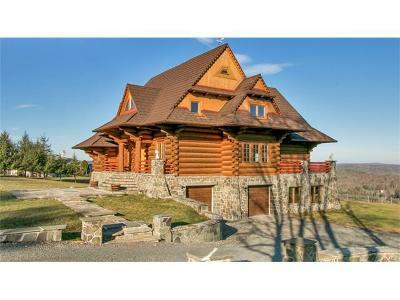 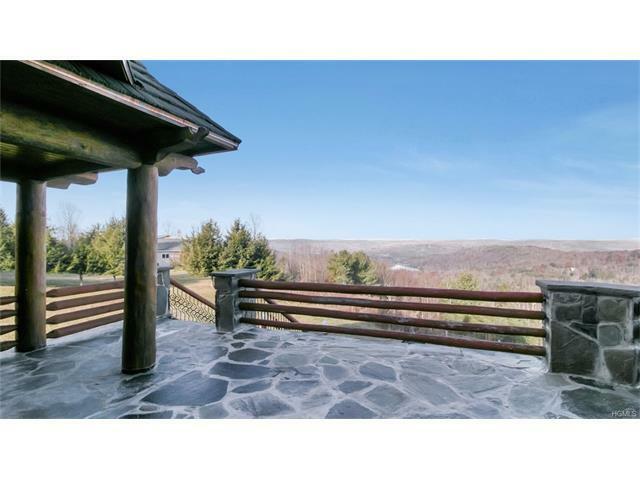 Top of the world views looking out over the Pocono Mountains from this custom built 4600 Sq Ft French log chalet style home. 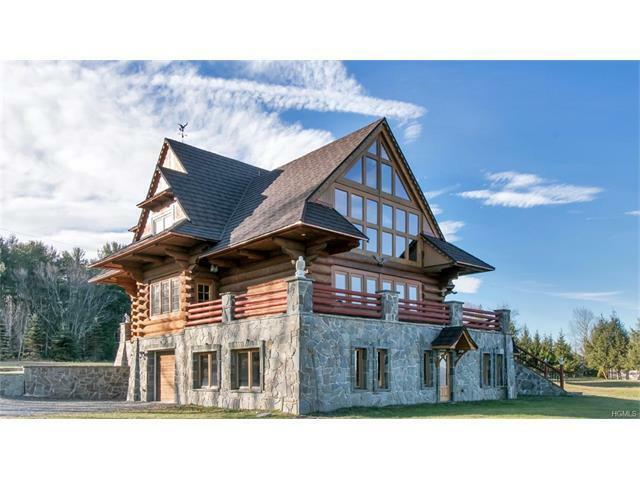 Quality and style are evident everywhere you turn as this home&apos;s building materials were imported from Europe and assembled by old world craftsman on site. 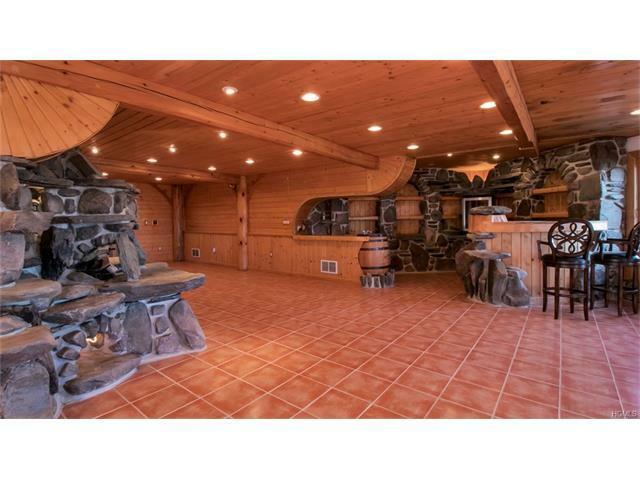 This home is built with 18-inch logs that are not available in the United States. 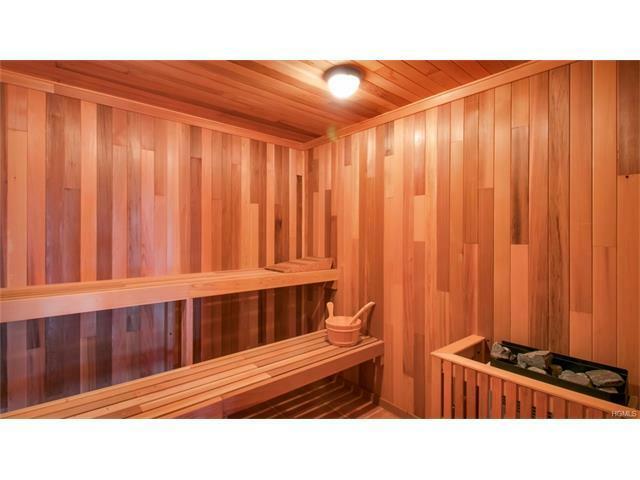 They must be imported. 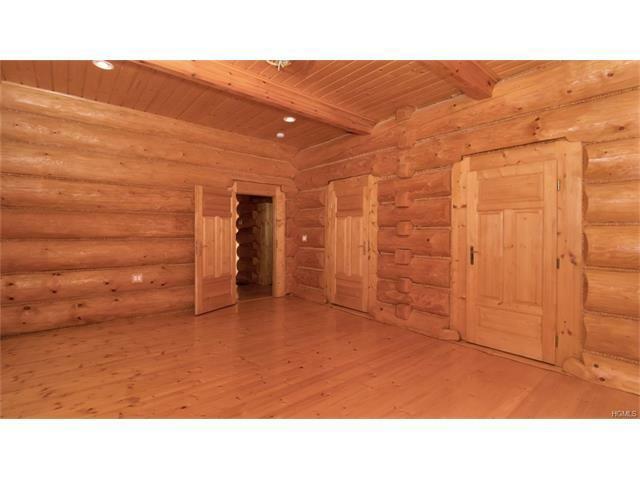 The entire house is built with white pine throughout. 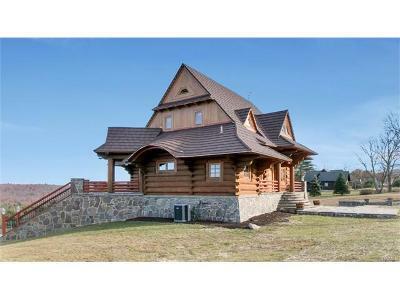 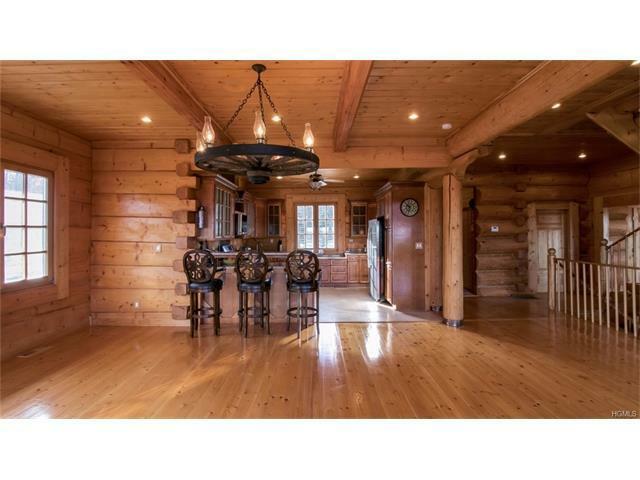 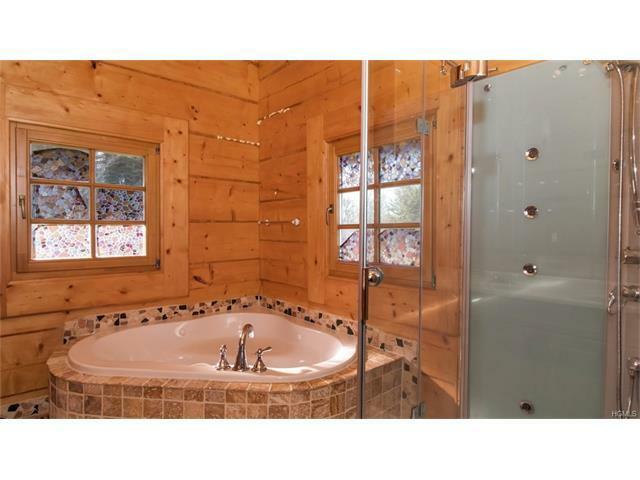 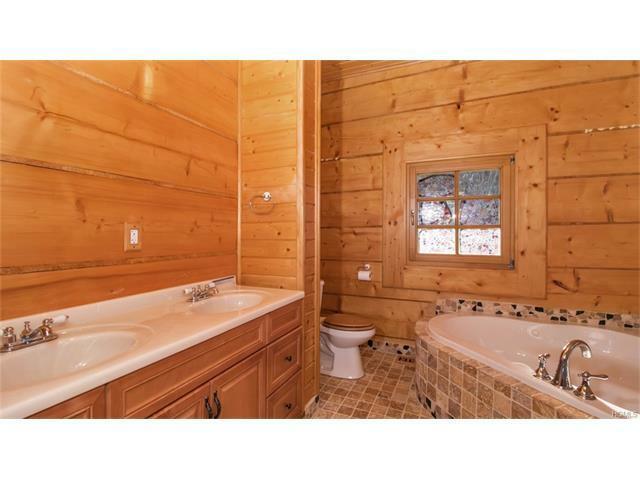 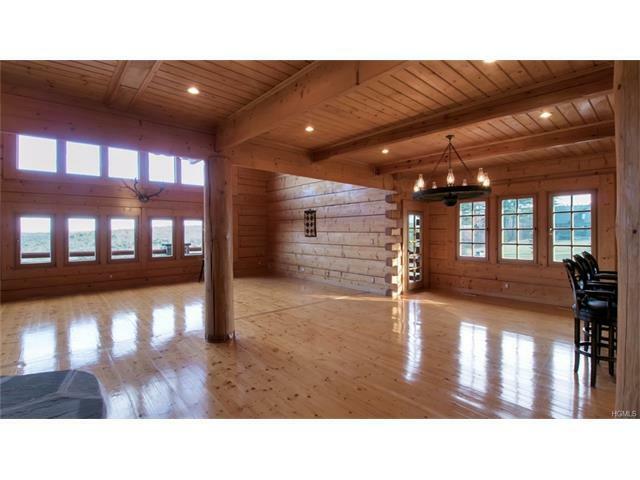 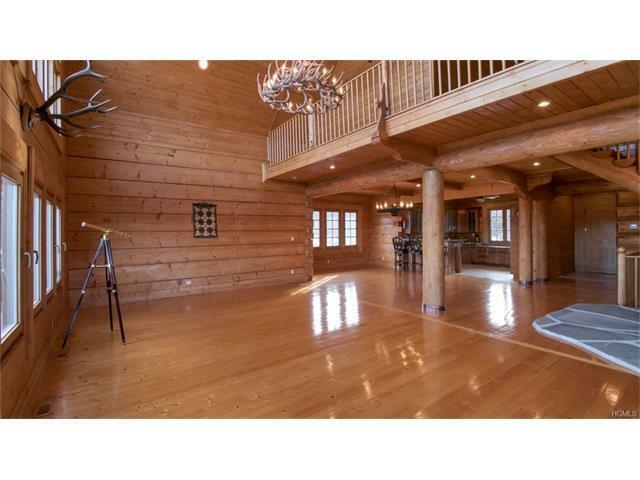 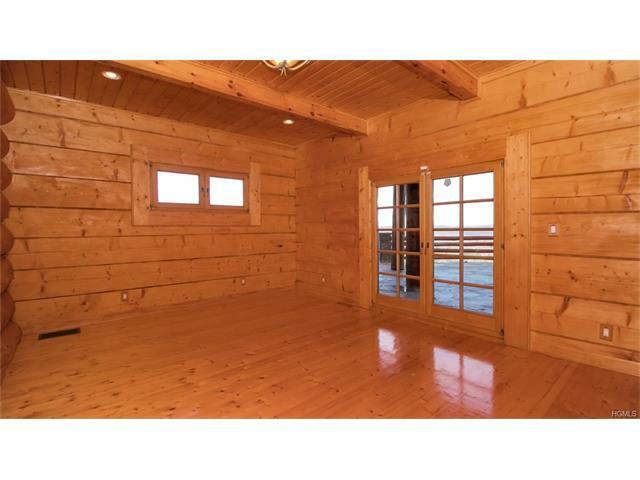 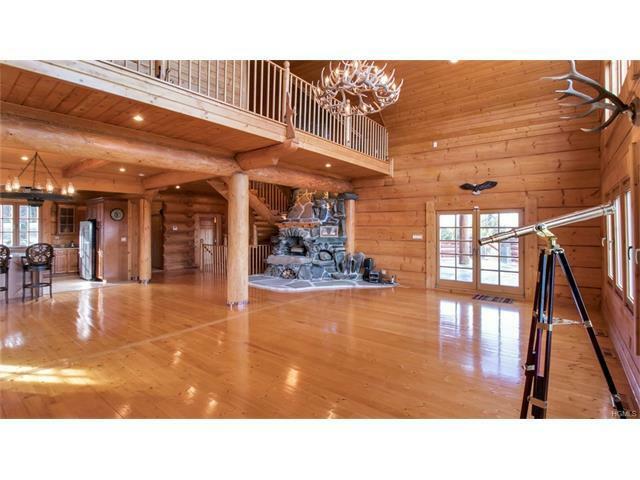 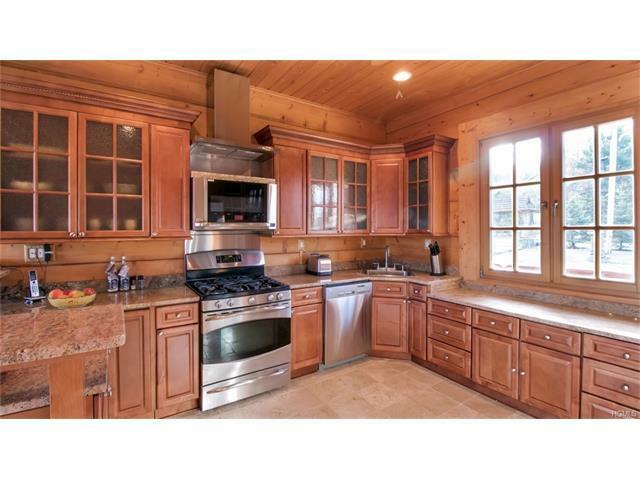 If you like wood and log cabin style homes you will love this home. 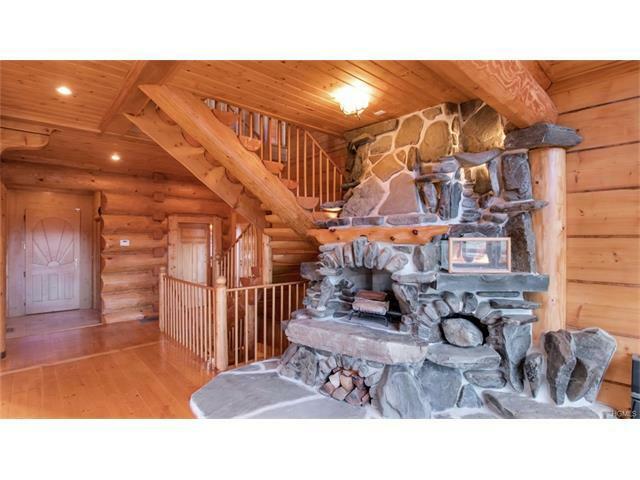 This home also contains two stunning stone fireplaces with waterfalls and a matching stone BBQ grill on the deck. 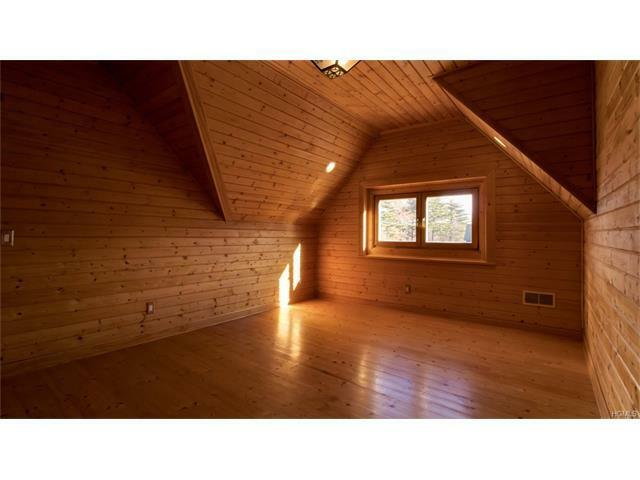 The walls are White pine the floors are white pine the ceiling is white pine. 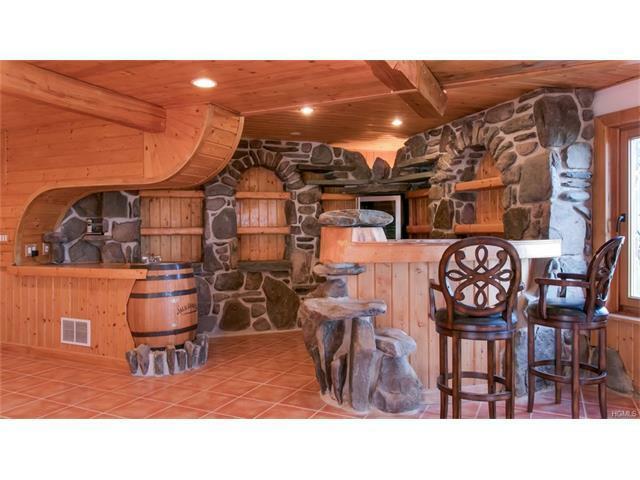 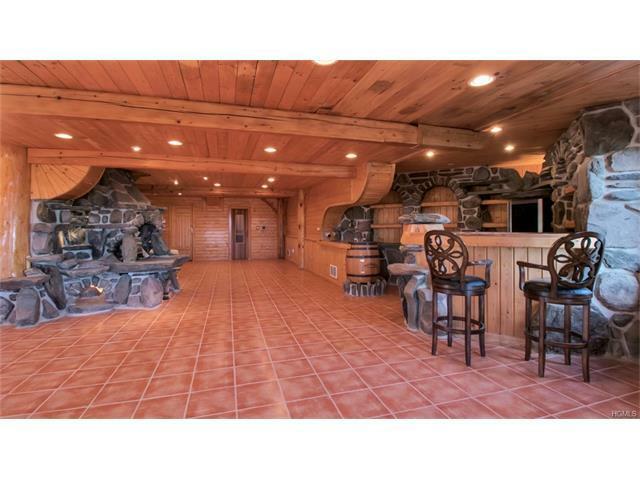 The lower floor has a beautiful bar made of stone and wood. 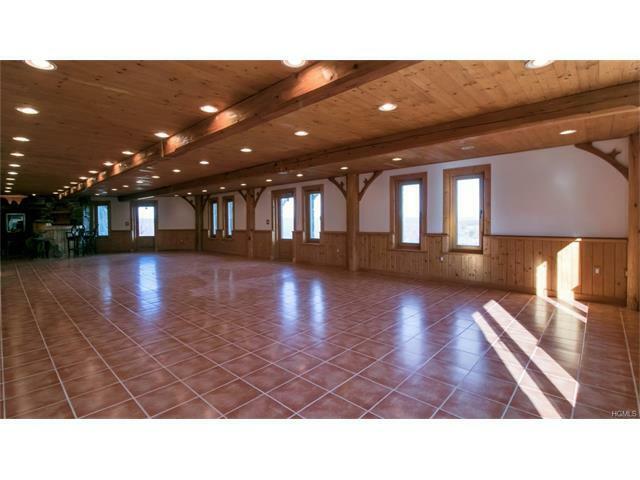 The whole lower floor of the house is a large party room. 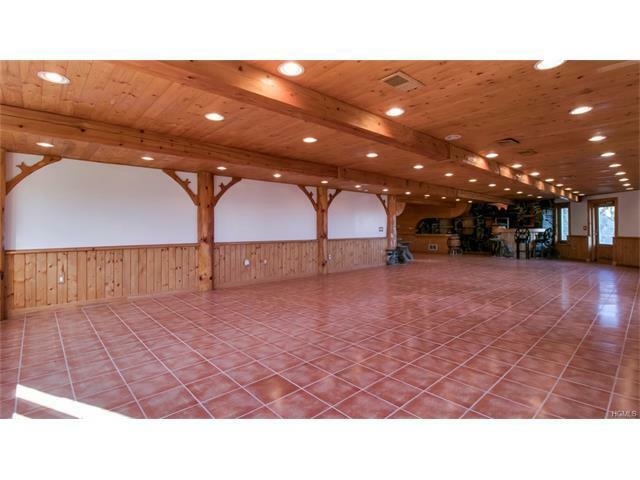 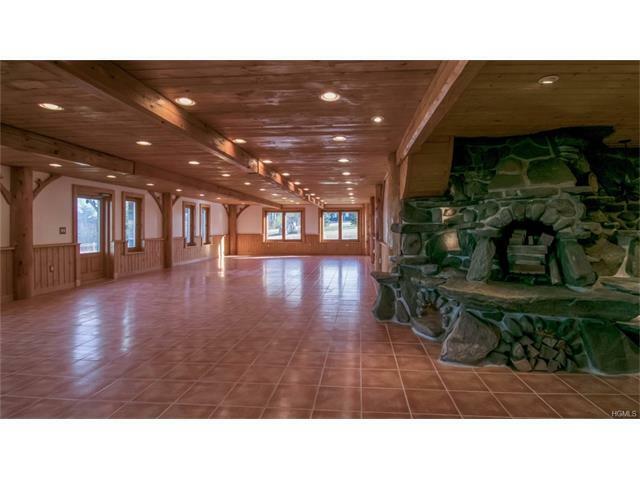 If you like to have parties or friendly gatherings you will love this place. 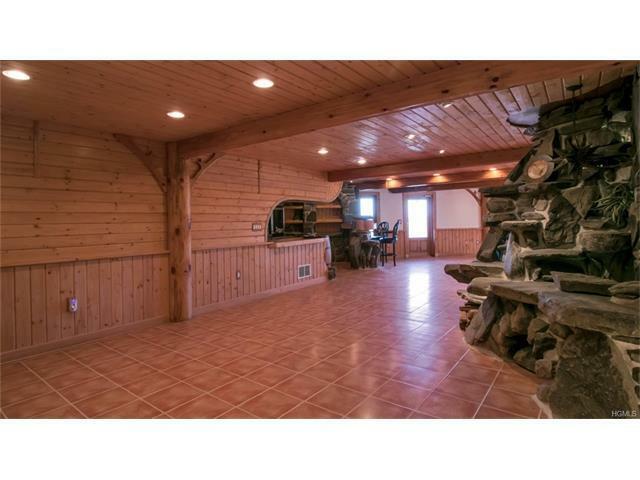 The bottom floor of this house has lots of room and is an excellent place to entertain.